Welcome to adar mân photography, Raja Stephenson's gallery of wildlife images from Australia and around the world. My current passion is seabird photography, which has resulted in a significant and expanding collection of pelagic wildlife photos, including albatross, petrels, shearwaters, and storm-petrels. 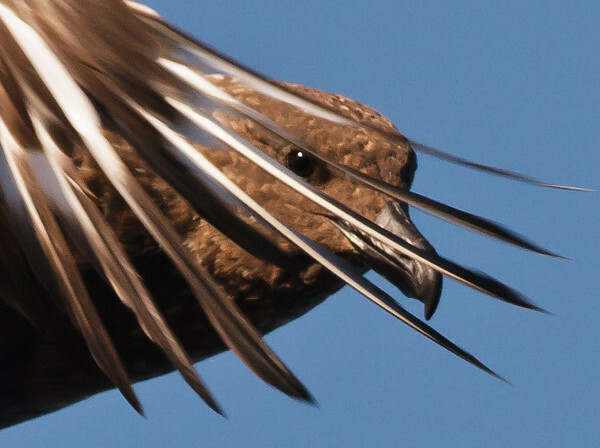 These images are a visual record of the movement of seabirds in Australasian waters throughout the year, and document variations in age, plumage and moult as they appear in the field. I strive to create images that are beautiful as well as useful. Enjoy, and thank you for visiting! Images on the website are for personal use only. Any other use requires my permission. Please use the "contact me" link at the top of the page for any inquiries. The name 'adar mân,' meaning 'small birds,' is inspired by my long-standing interest in Welsh. The photos are best viewed with a color-managed monitor and web browser (i.e. Firefox or Safari).